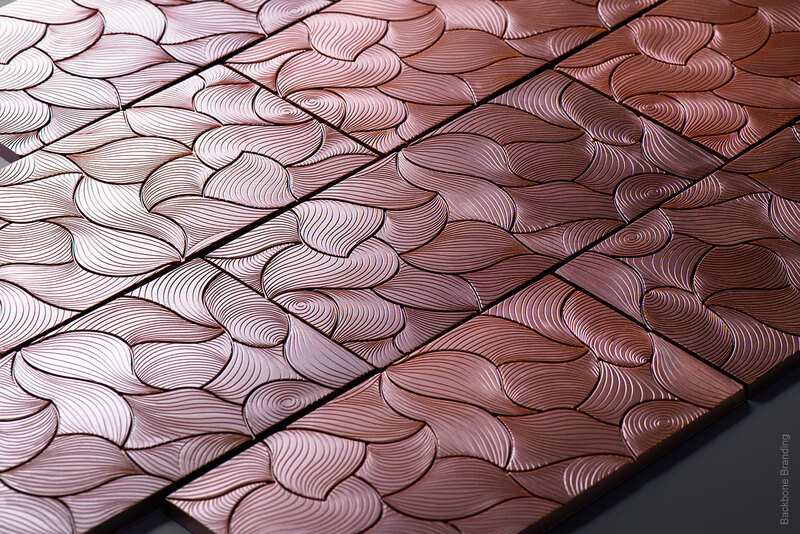 Chocolate makers from the UAE (Dubai) contacted us to create a branding for handcrafted bean-to-bar chocolate. 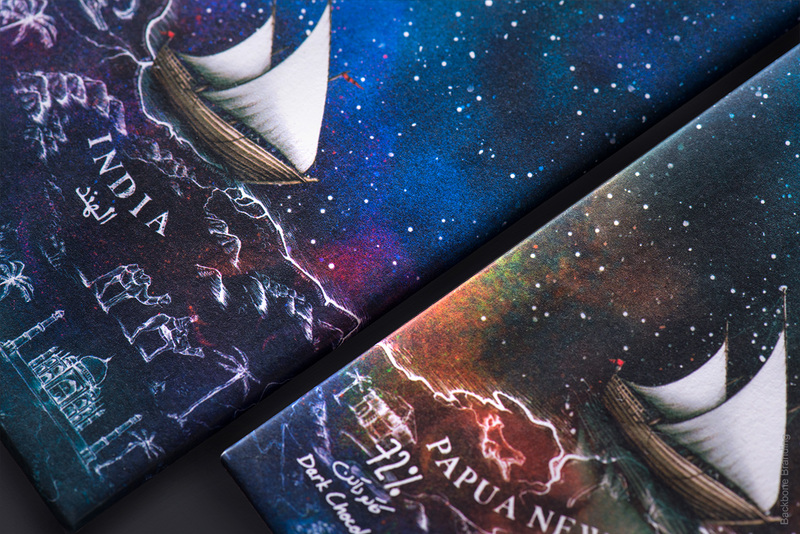 From the naming and identity to the product design and packaging, Backbone Branding designed each element with a unique illustration of cocoa bean origins. 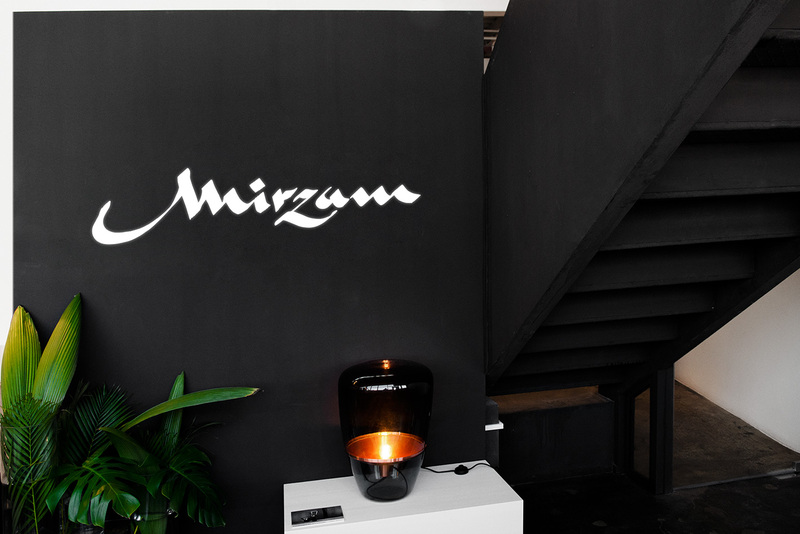 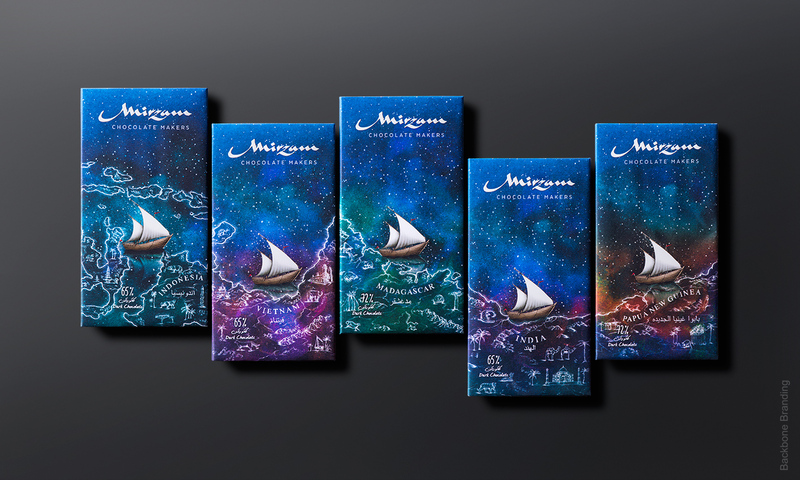 "Mirzam: Origins Collection" is a line of 5 chocolate bars, each representing a single place with a historical connection of cocoa beans with trading routes including Vietnam, Madagascar, Indonesia, Papua New Guinea and India. 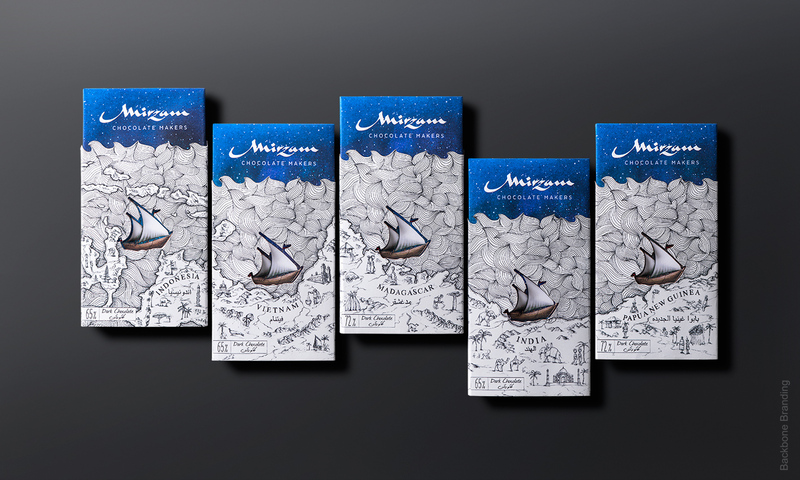 This comes from the times of the first merchants who have traveled through the Spice Route to new lands and cultures. 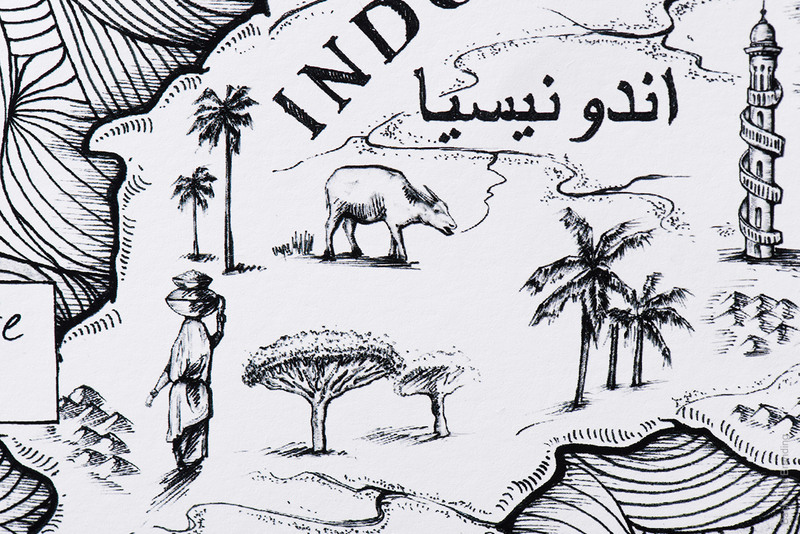 The Arabian sailing ship dhow has been selected as the central element, as it dates back in time sailing through all these five countries. 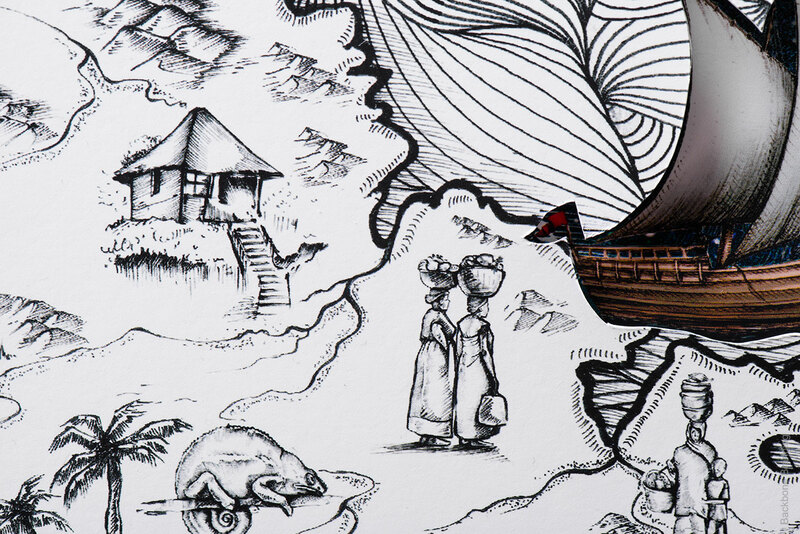 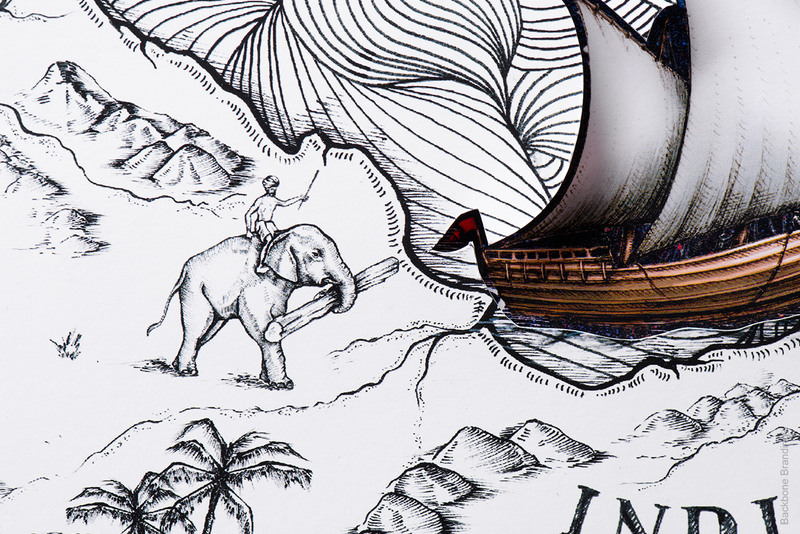 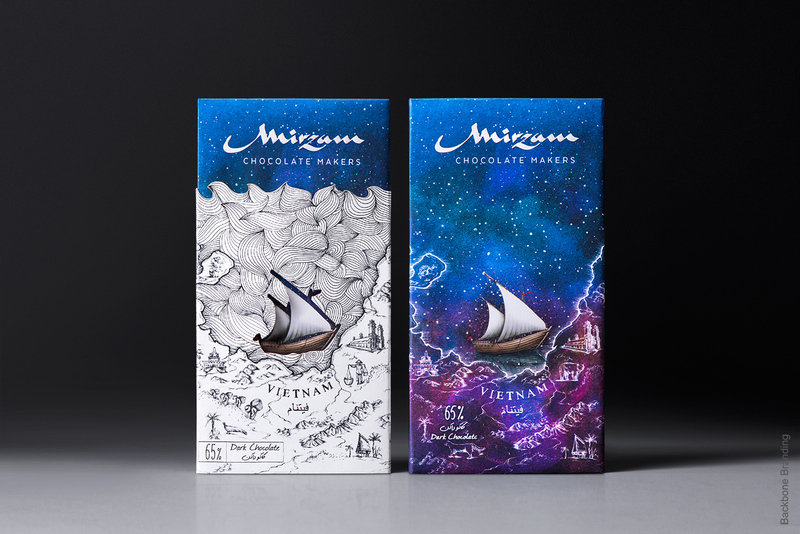 The packaging design illustrations present the maps, characters, architecture, animals and other cultural elements of the countries from where cocoa beans were traded for Origins Collection. 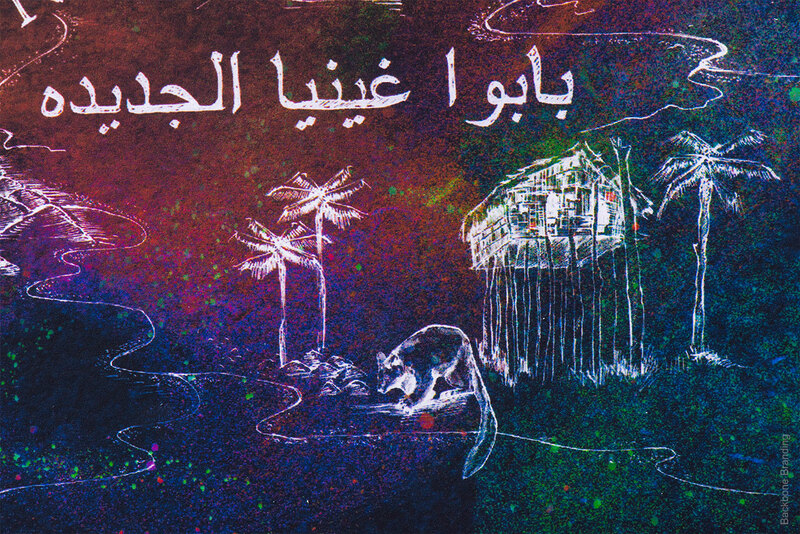 The idea was to express binary nature of the origins’ destinations during the day and the night. 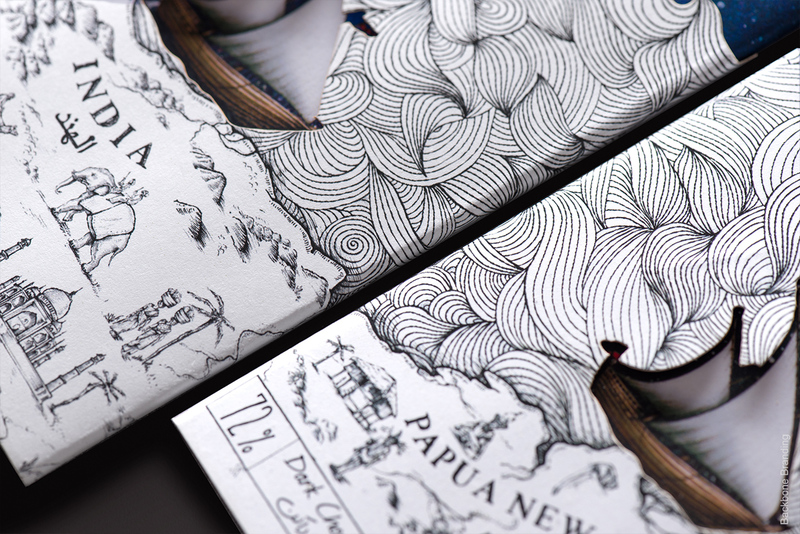 The bright sliding sleeve represents the daytime where you can find people’s everyday life and endemic mammals of that region. 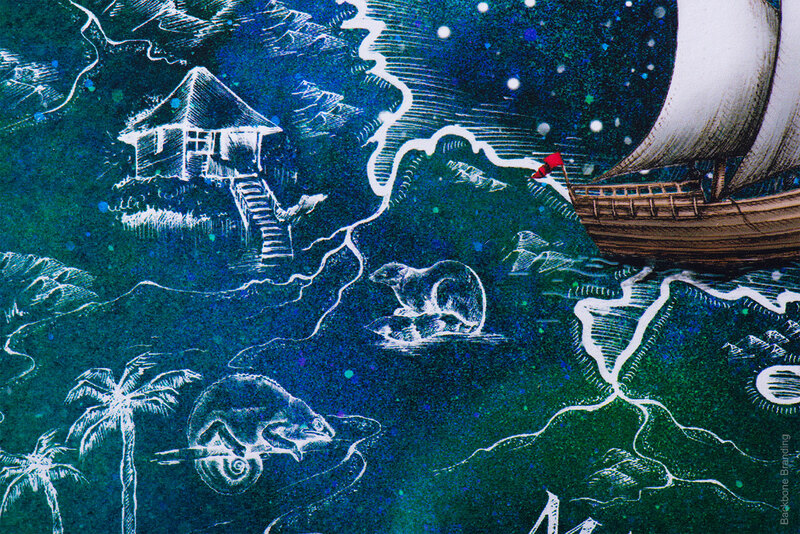 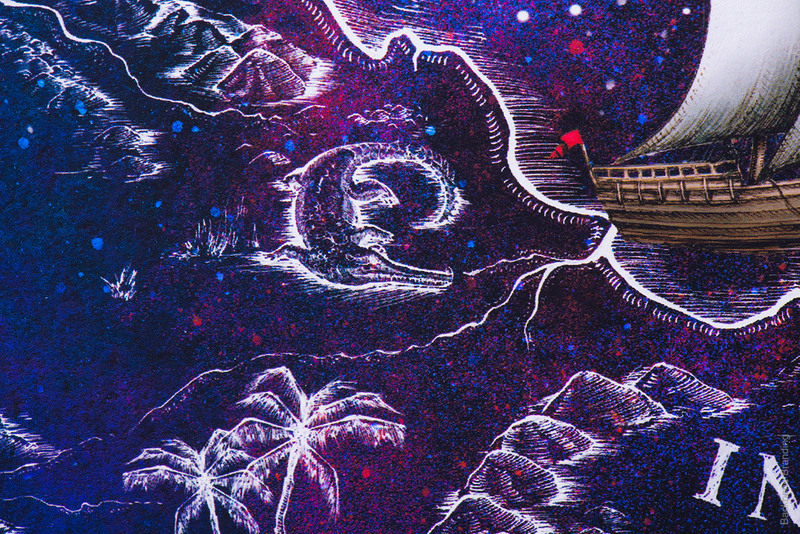 As you remove the sleeve, you will see the duality - the night starry sky and wild animals. 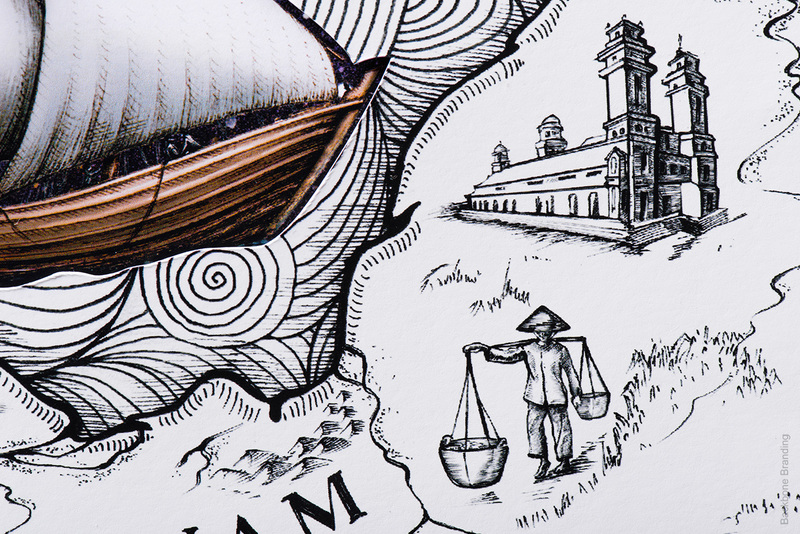 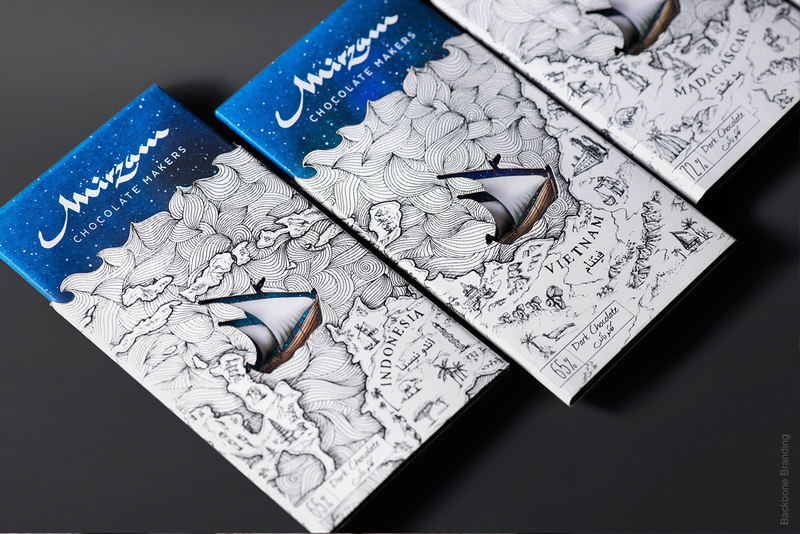 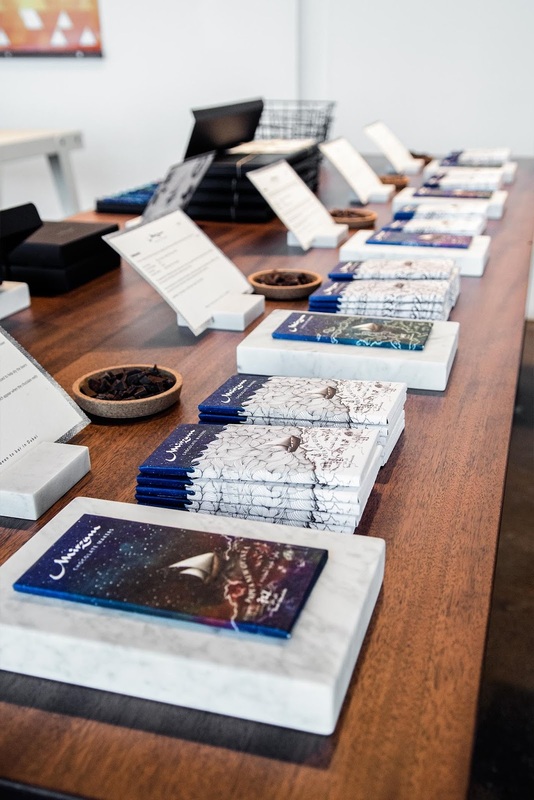 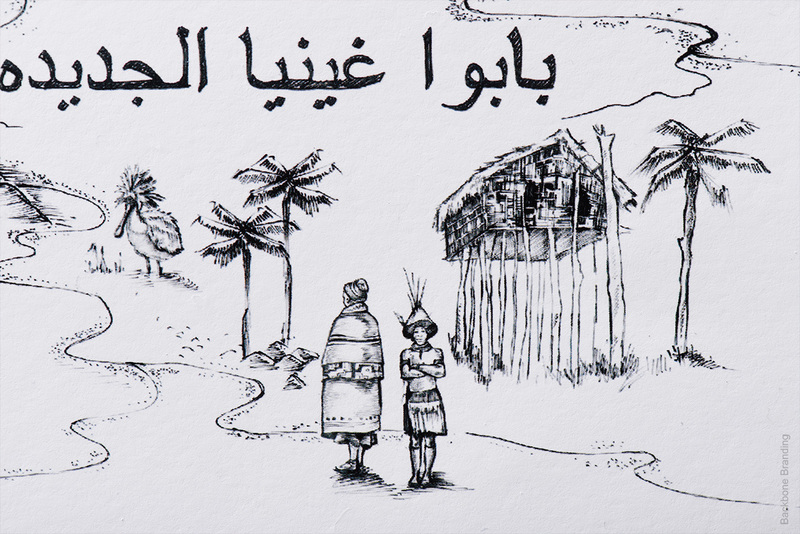 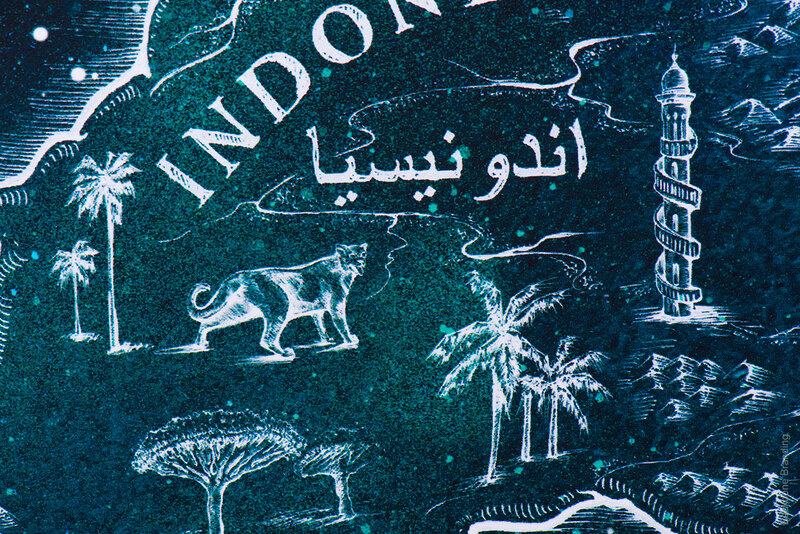 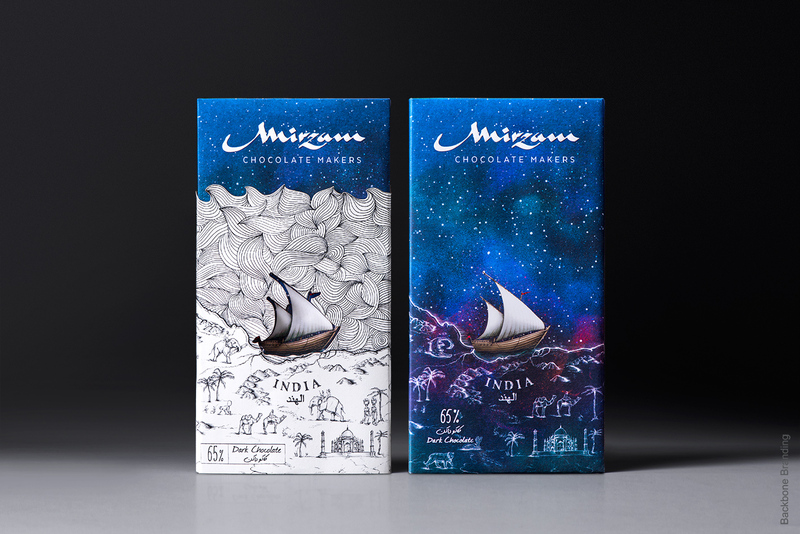 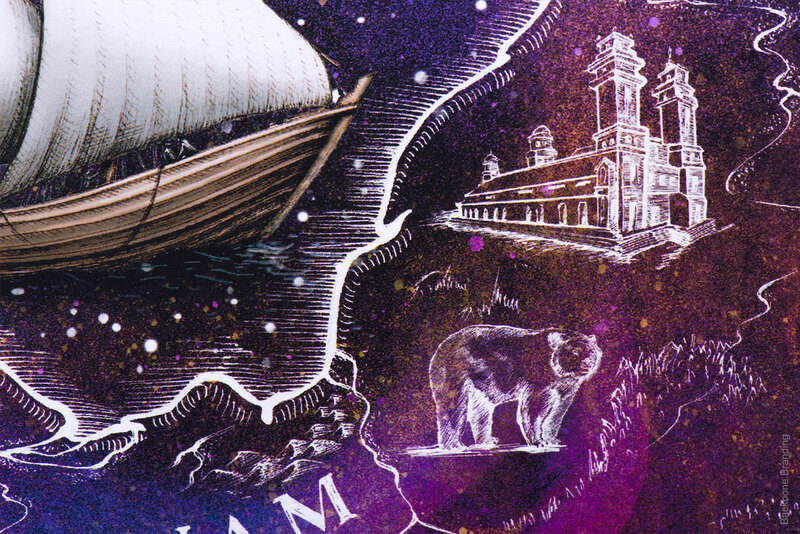 This fabled combination of the galaxy background, dhow and calligraphic logo with unique hand-drawn illustrations highlights the original link between Arab traders and the cocoa regions. 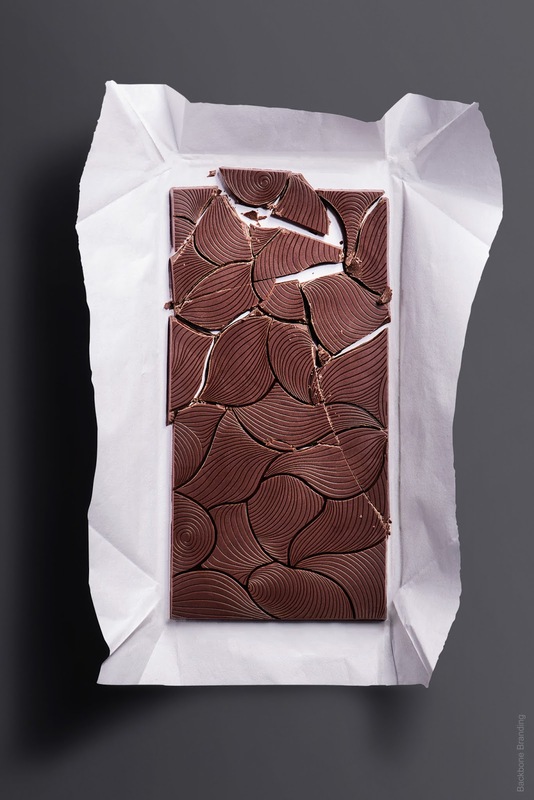 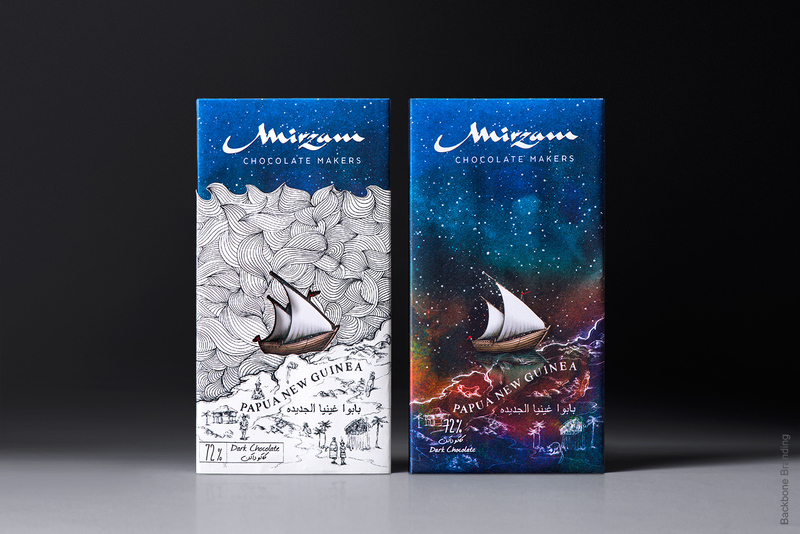 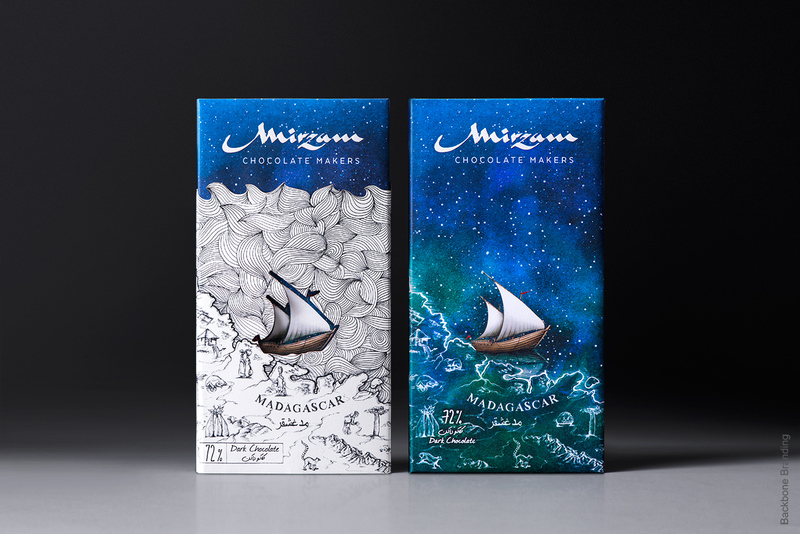 The journey of Origins follows you even when you unwrap the bar and see the sea wave patterns that the dhows sailed through and gave us the opportunity to taste these magical Mirzam Chocolate bars.